Part of the appeal of Kathryn Roberts and Sean Lakeman as a duo has been an ability to reach out far from their core to enlist casual folk followers into the fold. This is particularly prevalent in how the live shows are presented. To assist them in the next batch of announced dates this coming spring, a brand new album is unveiled and it staunchly underpins the core folk sound that has led the pair into award winning territory. 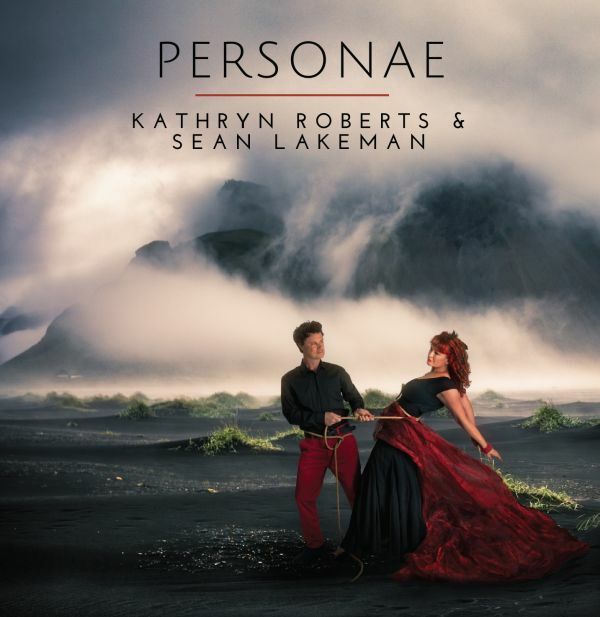 PERSONAE is the fifth release under the Roberts/Lakeman moniker and it calls at all the usual ports in a stunning array of vocal and musicianship excellence. Seven assorted original pieces, in terms of theme and tempo, mix with the obligatory Child ballad; a further dip into traditional song and the ubiquitous Sandy Denny cover. The result is an enthralling journey through slices of mythical and satirical, albeit with the occasional twist of trusted melancholy. It is with the latter sentiment that any delving into this album should begin and the track ‘Old, Old, Old’. On their previous album, Kathryn and Sean presented a heart breaking song about a lonely whale titled ’52 Hertz’. This time it is the turn of a Seychelles giant tortoise, aged around 150 and now given more than a voice despite 'imprisoned' on the remote island of St. Helena. The very essence of folk music is to tell the story and pass it down the line, few hearing this song now and in the future will fail to be moved. Throughout the record, Kathryn’s peerless vocals transmit the aura of elegance, beauty and perhaps a touch of veiled doom. These are particularly pertinent in ballad mode, exemplified poignantly here in the self-penned ‘Independence’ and a cover of Sandy Denny’s ‘Solo’. There is little to split Kathryn’s voice with fellow luminaries such as Kate Rusby and Josienne Clarke, equal in spanning the bridge from the traditional to the contemporary world. As we have come to expect from the Lakeman clan, musicianship of the highest order reigns supreme. Sean adds the production role to his defined duo duties, and has even enlisted the fiddle playing of his brother Seth to help on one song. The originals are all listed as Roberts/Lakeman co-writes, maybe split down the line in terms of lyrical content and arrangement, but who knows. One assertion is that the writing input spills out in a haze of intuitive wit, figuration and literary interpretation. ‘The Poison Club’ unravels as a jaunty ditty laced with a dark undercurrent to what can reel us in. ‘Seasons’ is a delightful joy to structurally revel in, and perhaps contemplate the meaning of the final verse, while the stories behind ‘Tribute of Hands’ and ‘The Streets of the Cats Who Danced’ move the mind forward. Integral to a release like this is to fully savour complete with liner notes and lyrics in hand. An unaccompanied version of the traditional song ‘Boney’s Defeat’, alongside its theme of isolation on the island of St. Helena is strategically segued into our dear friend, Jonathan the tortoise. Yes, those liner notes are useful. ‘Goddess Made Flesh’ closes the album with another timely reminder of Kathryn’s vocal bliss, and a seemly blink since we were introduced to the record merely forty minutes earlier with Child ballad #265 ‘The Knight’s Ghost’. What folk album would be complete without murder, revenge, loss and a little bit of misunderstanding? PERSONAE (explicitly defined as: the aspect of a character that is presented to or perceived by others) is an unmistakeable treasure trove for purists and casuals alike. Punchy and tranquil in places; beautifully arranged and sparklingly sung, while rarely straying off a well-trodden path. Kathryn Roberts and Sean Lakeman have long had a regal streak about them and there is no sign of this sliding away as they present another record to fall in love with. What more can you ask for?